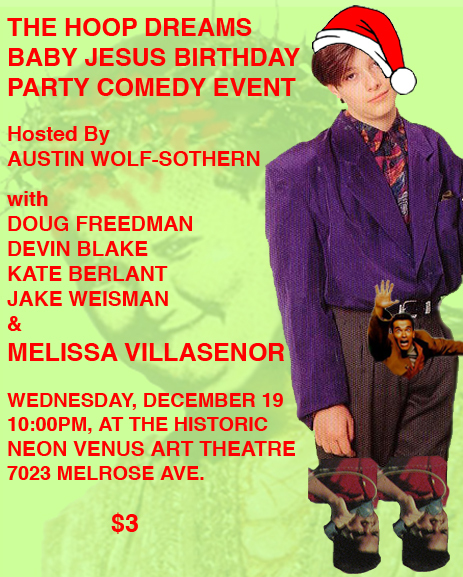 Austin Wolf-Sothern: The Hoop Dreams Baby Jesus Birthday Party Comedy Event!!! The Hoop Dreams Baby Jesus Birthday Party Comedy Event!!! The next Hoop Dreams Comedy Hour Or So is Wednesday, December 19! Look at this flyer I made! I did a great job! The show will be equally as great! The lineup is seriously incredible and exciting!